Ely Buendia and The Itchyworms are together for their first major concert at Resorts World Manila! After collaborating for two songs – Pariwara and Lutang – fans have only hoped to hear more from Ely Buendia and The Itchyworms. Ely Buendia has been in the industry since the 80s and rose to fame as the lead singer and guitarist for Filipino rock band Eraserheads. Heavily influenced by Ely Buendia, the Itchyworms – Jugs Jugueta, Jazz Nicolas, Kelvin Yu and Chino Singson – made its mark in the OPM scene with their easily-relatable songs like Di Na Muli, Akin Ka Na Lang, Beer and more. 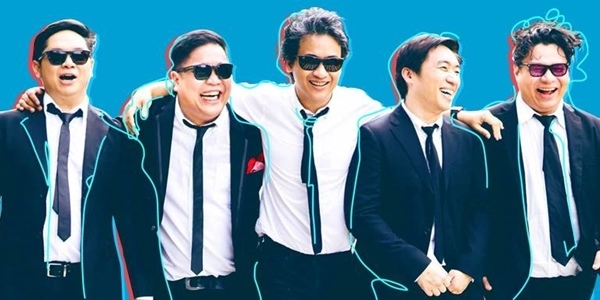 Resorts World Manila is about to thrill Pinoy Rock fans as is sets to stage for two of the most iconic names in Filipino rock music in one evening with Ely Buendia & The Itchyworms: Greatest Hits on February 9, 2019.